The Brainwave Entrainment Audio contained herein will allow you to reach an altered state of consciousness in which you will commune with the great creator God of Mesopotamia, Anu. Anu the earliest attested sky-father deity. 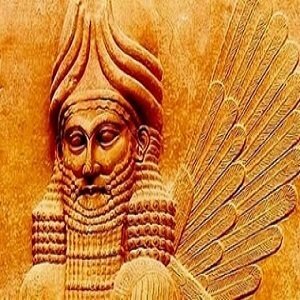 In Sumerian religion, he was also "King of the Gods", "Lord of the Constellations, Spirits and Demons", and "Supreme Ruler of the Kingdom of Heaven", where Anu himself wandered the highest Heavenly Regions. He was believed to have the power to judge those who had committed crimes, and to have created the stars as soldiers to destroy the wicked.